I had some issues getting through the “Enter Your Zip Code” part to find people near my area. 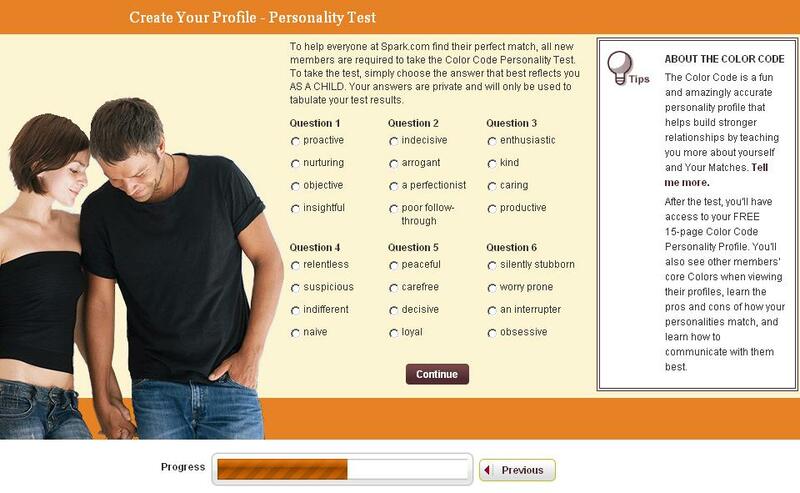 Once I got through the basic profile information, I went through a series of personality test. It asks me 30 questions with 4 words to select the best world that describe me as a child. From question 31-45 are situation questions of what I would do if placed in a certain situation. 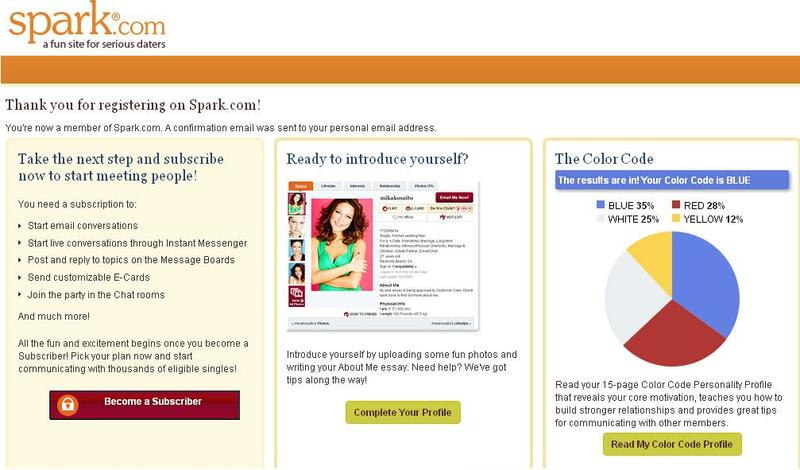 Once I get passed the initial registration, I am given three options – Become a Subscriber, Complete Your Profile, and Read My Color Code Profile. I clicked on ‘Become a Subscriber’ which took me to a page advertising their premium and member fees. It ensures they notify you that they are far cheaper than match.com or eharmony.com. I disregarded the form and clicked on the logo which took me to the search page. It gave me 3 featured profiles / matches to view. You have good access to other profiles but can only make contact when you subscribe to their paid membership. Registration was pretty quick taking about 15-20 min. It has a mini compatibility test which they used to match me with people and they also allow you to conduct searches on your own. Sign up through here and give it a try now!